The first octa-core tablet for middle range tablet market sporting Allwinner A83T is to hit in Q4 2014. Allwinner Technology, a leader in mobile application processor design, today proudly announced its brand-new high performance octa-core processor A83T, a heavyweight that targeted at full high-definition tablets. 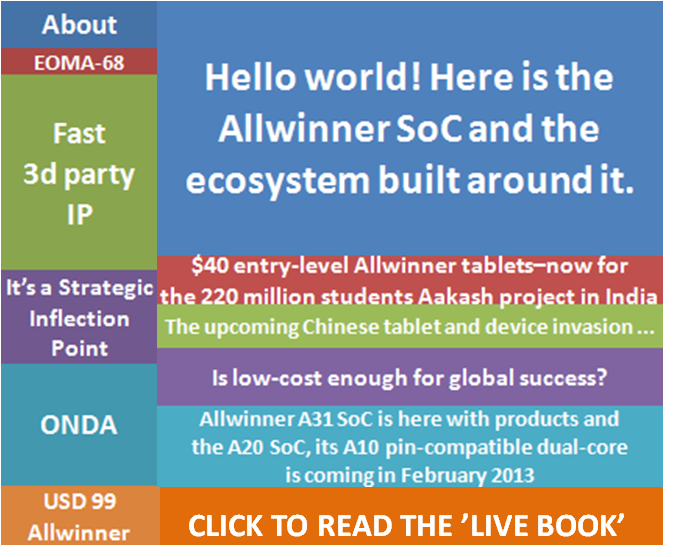 Last but not least, the first octa-core tablet sporting Allwinner A83T is to hit in Q4 2014.